Many of my readers may know that, in addition to blogging, television, and the Friday Rorschach, I also have a clinical practice. Since 2004, I have been on my own, which has been great. But, I am excited about a new chapter in my professional career: I have joined a group. 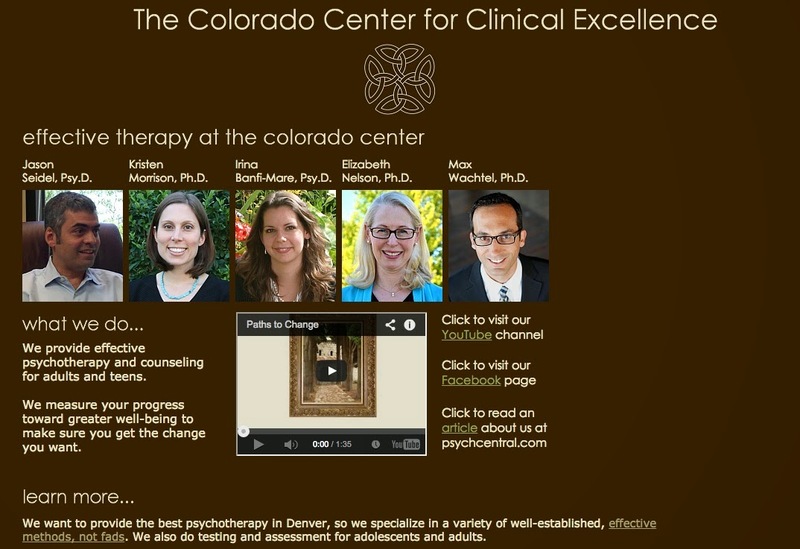 I am now a part of The Colorado Center For Clinical Excellence, and it is an amazing group of clinicians. Together we offer a wide range of services, including individual therapy, couples counseling, assessments, and special programs. The most exciting aspect of my switch is the Colorado Center's focus on quality outcome. We don't just hope our clients are getting better--we measure it. The head of the practice, Dr. Jason Seidel, has done extensive research on Feedback Informed Therapy (FIT), which is a model for receiving ongoing information from our clients to make sure the therapy is working. We use this approach at the Colorado Center, and it allows us to make changes in therapy as soon as we discover something might not be as effective as it should be. This FIT model is one of the main reasons I was interested in joining the Colorado Center, and I know it is going to help my clients get what they need out of their time in therapy. In my practice, I will be focusing on individual counseling for adolescents and adults, and I will also continue to offer the same psychological assessments I have been conducting for years. 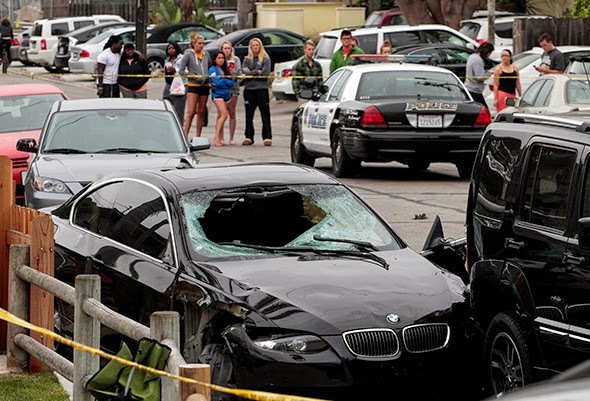 The shooting and stabbing spree in Isla Vista, California on Friday, May 23, which left seven people dead including the shooter, is the latest in an ever increasing number of public mass murders in the United States. With each tragedy, it is normal to look for an explanation—a reason why it happened. There has been no shortage of mental health experts on local and national television speculating as to why the killer went on his rampage. This particular case is fueled by YouTube videos and hundred-page manifestos from the murderer himself. Up to this point, almost everything that psychologists and psychiatrists have been saying about the shooter has been speculation. 1. The shooter was very angry. 2. He was at an age where mental illness typically emerges and can be dangerous because people do not fully understand the impact of their symptoms yet. 3. He was already in mental health treatment and his parents were worried about him. Regardless of the causes of the tragedy, it is important to recognize the killer’s mental health providers may have been doing everything they could for him. In many states, Colorado included, people cannot be committed to a psychiatric institution against their will unless they are an imminent threat to themselves or others. In hindsight, it is obvious the killer was imminently dangerous. But, if he told his therapists he felt fine and that he didn’t have a plan to harm anyone, there was nothing more they could have done. They might have worried he was dangerous, but as far as they knew, he was not imminently dangerous and he could not be hospitalized against his will. Colorado is now grappling with the problem of how to deal with potentially dangerous individuals in the wake of the Aurora theater shooting. Some legislators are pushing to change civil commitment laws in the state to remove the requirement of an “imminent” threat in order to get people the help they need and avoid further tragedies. Others in the state have argued this would give therapists and doctors too much power and would infringe on an individual’s civil liberties. Making the issue even more complicated is that many people who desperately need treatment are not yet connected to a mental health provider. In cases such as these, it is often difficult for someone to know where to turn for help. Even people who want mental health treatment get turned away due to lack of care. In an environment such as this, people who are refusing treatment tend to get overlooked. Until states grapple with these tough issues, we as Americans run the risk of continuing to allow individuals who could become mentally unstable to go untreated (keep in mind, most individuals with mental illness are no more dangerous than those without mental illness—but untreated mental illness is one cause--of many--of the recent rash of public mass murders). The unfortunate reality is that more preventable suicides and homicides are likely if we do not deal with the crisis of mental health treatment and mental health laws in our country. 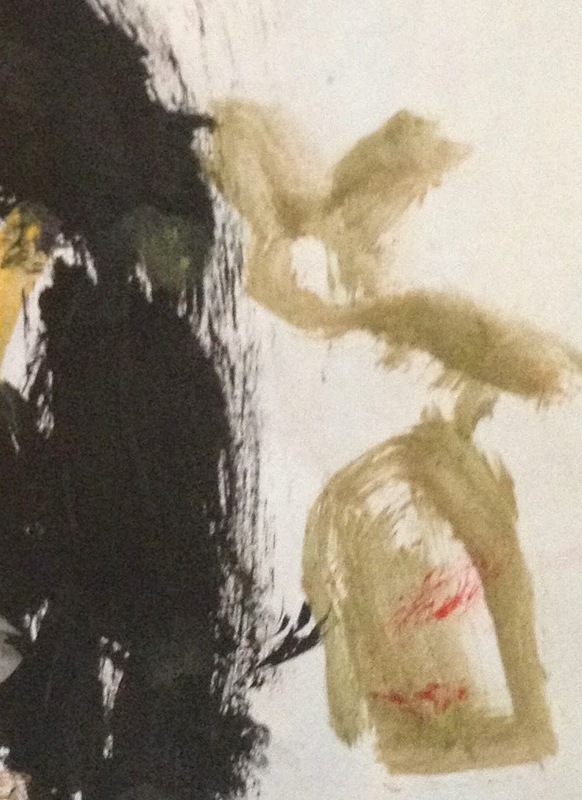 It is a bit on the abstract side, but you might be able to see the relationship between this photo and my son's painting. What you thought it was: Absolutely no one thought this was a cat. @mwachtel a minon with a black bear-eared hoodie. @mwachtel Mickey Mouse in swimming goggles. @McLeanSix @mwachtel clearly a minion disguised as Mickey Mouse. In snow. @mwachtel #FridayRorschach -The golden pig of opportunity. @mwachtel cave, with fire at the back, and bushes beside the cave on the outside. I like this one!. @mwachtel Light at the end of a rather short tunnel. 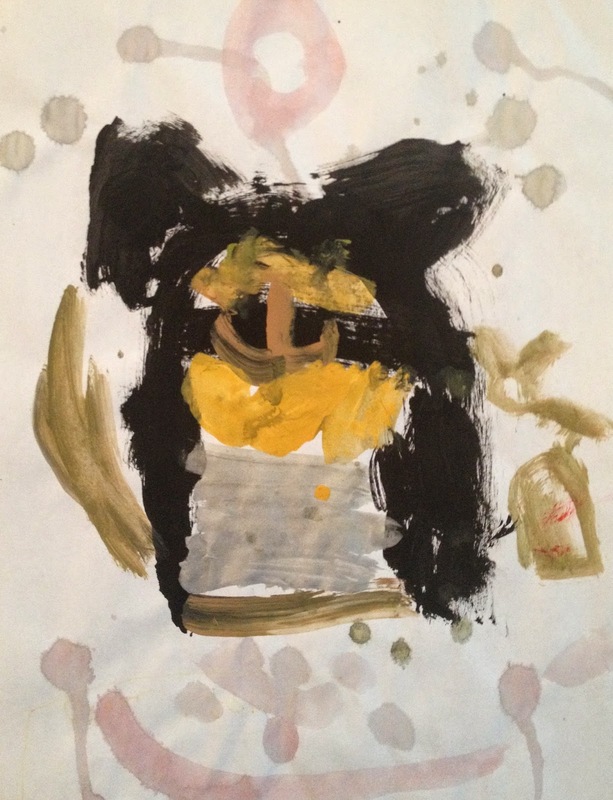 @mwachtel Definitely a waving penguin pig on a boat in a snowstorm. What you might have missed: No one saw the mouse sitting on a piece of cheese next to the cat. Scroll back up to the full picture at the top of this post. It will change your perception of what is taking place in the painting. One last thought: Did you happen to see what looked like sperm cells swimming around in the background? @mwachtel #FridayRorschach a koala bear pirate that, strangely, has sperm swimming around it. It is possible that many people saw the sperm cells but chose not to incorporate them into their responses. This is a normal process when one is publicly interpreting art--we all need to make choices about what we are comfortable mentioning out loud and what we want to keep to ourselves. And, if something in a piece of art makes us uncomfortable, we often do not even see it. Friday Rorschach is a fun project designed to engage readers' creativity. 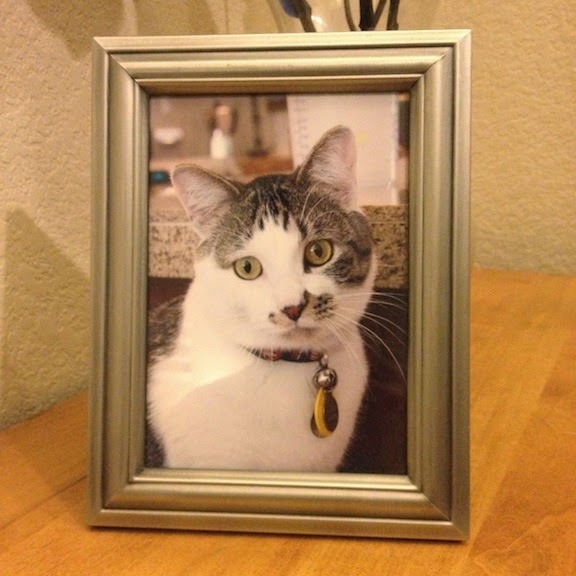 To participate, follow Max on twitter. He posts the drawing every Friday morning at 10am ET/8am MT. There are no wrong answers to the Friday Rorschach, and there is no judgment, either. This should not be considered a psychological evaluation. 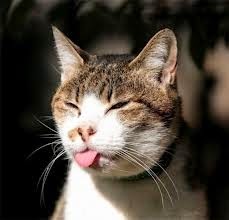 Cat parents sometimes behave badly at sporting events too. I was on 9News this morning talking about what happens to children when parents react with overblown anger at their sporting events. Even if the child is not the target of the anger, he/she can be psychologically harmed by an angry parent. Click here to watch the video if it does not appear above. On the 9News website, I also list what you can do to productively confront angry parents to try to help them calm down. Last summer, I compiled a list of books that would make for good summer reading. If you were locked in jail. Here is the list. I am now looking for a new batch of summer reads for those in less fortunate circumstances. Any suggestions you have are greatly appreciated. 1. The book must been published in 2013/2014. Books about to be published are fine. 2. It is fine to submit a book you have not written. If you love it and think it would make for good summer jail reading, suggest it. You don't need to send me a copy of a book you have not written yourself (although I would gladly accept books from strangers). 3. eBook-only suggestions will not be accepted. I have nothing against people who only publish their books electronically, but it is impossible to read an eBook in jail. No electronic devices allowed. 4. If you are submitting a physical book you have written for consideration and want it to be reviewed, please mail copies to Maximillian Wachtel, Ph.D., 720 S. Colorado Blvd., #610-S, Denver, CO 80246. Physical copies of books will not be returned. 5. Send email submissions to jailbooks@cherrycreekpsychology.com. 6. It is fine to submit a book you have not written. If you love it and think it would make for good summer jail reading, suggest it. You don't need to send me a copy of a book you have not written yourself (although I would gladly accept books from strangers). Thanks, and I can't wait to start reviewing! Last week, 9 News aired my story on the potential problems with video game playing. The video game industry is huge--experts estimate its annual revenues at $20 billion, which is roughly the size of the NFL, Major League Baseball, and the NHL. Combined. For most people, it is a fun and harmless pastime. For others, it becomes an addictive problem. National surveys estimate that 1 in 20 adults and 1 in 12 children have what could be considered an unhealthy addiction to video games. Click here if the video does not appear above. In addition to the video, I wrote a web article outlining some of the warning signs to look for to determine if you or a loved one might be engaging in problematic video game play. I also created a list of tips in case you feel like you are playing a bit too much. Click here to read the article. 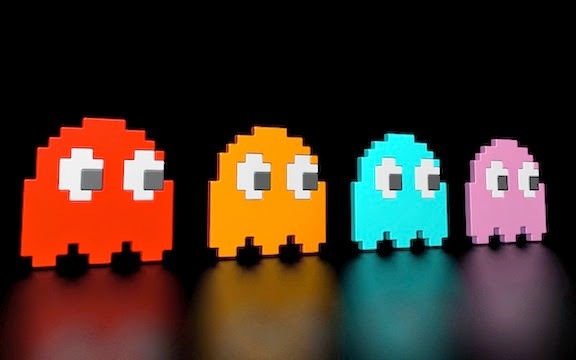 And if you want to have a bit of fun, take this quiz to see how well you know your classic video games. The Marijuana Legalization Experiment: How Safe Are Edibles? Yesterday, I spoke to Brandon Rittiman on 9News about two recent deaths in the Denver area that are related to marijuana edibles. In one case, a college student allegedly ate a cookie and then panicked and fell from a balcony to his death. In another case, a 47 year-old man allegedly shot and killed his wife after eating a small edible candy. His wife was on the phone with 911 at the time, saying she thought he was hallucinating. In the story, I am quoted as saying we will look back at this time 15-20 years from now and be shocked that edibles were ever legal. Needless to say, I caught some grief from pro-legalization folks because of that statement. I can understand why--marijuana has been illegal for a long time and numerous people have argued it is safer than many other legal substances. Now that it is legal, it must feel terrible to hear stories of people doing stupid, dangerous things while high. 1. Edibles are small. One piece of candy is approximately the size of, well, a piece of candy. The cookies are normally sized cookies. 2. Many edibles are supposed to be more than one serving, with each serving containing 10mg of THC, the psychoactive substance in cannabis. 3. In the case of the student who fell to his death, the cookie he ate (mind you, this cookie is about the size of an Oreo) had 65mg of THC in it. Can you imagine cutting an Oreo into 6.5 equal pieces? 4. In the case of the man who killed his wife, he ate a piece of candy about the size of a Halloween-sized Tootsie Roll. It had 101mg of THC in it. 5. It can take up to two hours for an individual to start to feel intoxicated after consuming an edible. 6. It is common to hear of new cannabis users who eat a small portion of an edible, don't feel anything, and then eat the remainder of the product a few minutes later. This is was happened with the student who died, according to witnesses. 7. Cannabis strains that are selected for intoxication (as opposed to those used as pain relievers) are bred to maximize the amount of THC in the product and minimize the amount of CBD. 8. Despite what many will claim, there are strong links between excessive marijuana consumption and acute psychosis. 9. CBD acts as a natural antipsychotic, so when it is missing from an edible that has a high THC level, the effects of the THC can be magnified. It is important to point out that the vast majority of the time, marijuana does not cause psychosis. It does not cause suicide. It does not cause homicide. And, it is also important to point out that there are many other legal psychoactive substances that are dangerous (alcohol and cigarettes immediately come to mind). Finally, there is no question that the nation's drug/alcohol laws are, at best, hypocritical at times. Also, I hope the marijuana experiment works. It is legal in Colorado now, and it looks like it is here to stay. There may even be some positive benefits to society, such as cutting down on black market drug-related violence. But, research points to the notion that highly potent edibles are dangerous. They have the potential to be abused, sometimes accidentally. And, their accidental abuse potential increases amongst new users, who are not aware of how potent they are. These are the very users who are most at risk for cannabis-induced psychosis and acting out in a dangerous manner while overly intoxicated. When THC is mixed with prescription medications, which may have been the case with the man who killed his wife in Colorado, the danger level can increase significantly. Even worse, kids are at high risk for accidental ingestion. It is my opinion that the risks associated with high-potency edibles are not something the public will be willing to accept, and because of that, I don't think they will be on the market much longer. Something else might replace them, such as edibles that only have 10mg of THC per food unit. But, we will look back at the beginning of the marijuana legalization experiment and be shocked that edibles, in their current form, were ever legal. 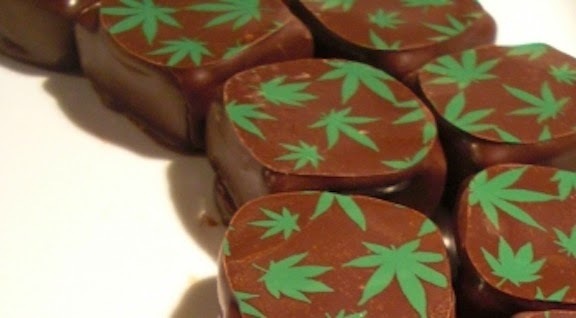 SPECIAL NOTE: A few days after it was reported that the Colorado man who killed his wife had eaten an edible, the shop that sold him the product pulled all of their edibles off the shelves.